The “Cats & Dogs” is a Tuscany based acoustic trio formed in april 2014. 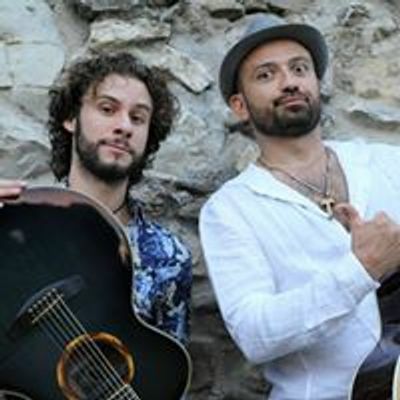 From the beginning till now, they performed more than 400 concerts in multiple contexts, they are also resident performers in some of the best live music venues both inside and outside of Tuscany. 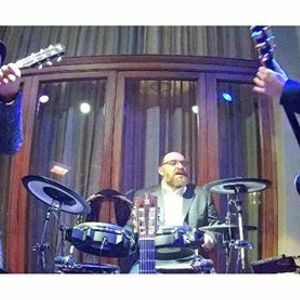 They offer a wide repertoire of hits and oldies featuring pop music, blues and soul, rock'n'roll and country, latin and bossanova, traditional music, all played with personal arrangements and groovy medleys. They perform 100 songs of artists such as Jamiroquai, Chuck Berry, Adele, Stevie Ray Vaughan, Edoardo Bennato, The Rolling Stones, Bo Diddley, Stevie Wonder, Foo Fighters, Ed Sheeran, Antonio Carlos Jobim, Rag'n'Bone Man, Dire Straits, Pino Daniele, Jimi Hendrix, Johnny Cash, Bruno Mars, The Eagles, Vinicio Capossela, B.B.King, Frank Sinatra, Lady Gaga, Brunori sas, Simon & Garfunkel, Eric Clapton, Fabrizio De André, Depeche Mode, Bob Marley, Neil Young, Otis Redding, John Legend, Paolo Conte, John Denver, Lucio Battisti, Prince, Lynyrd Skynyrd, Van Morrison, David Bowie, Dean Martin, Celentano, Bruce Springsteen, Doobie Brothers, The Police, Coldplay, Elvis, Jason Mraz, Sergio Mendes, Marvin Gaye, Bob Dylan, Alex Britti, Fats Domino, John Mayer, Renato Carosone, The Temptations, Robert Johnson, Francesco De Gregori, Pharrell Williams, Ray Charles, Creedence, Lucio Dalla, Toto, Bon Jovi, Sean Kingston, Queen, Oasis, Bruno Martino, The Beatles, and many more! 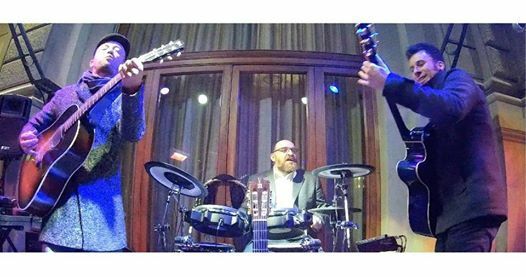 I "Cats & Dogs" sono un trio acustico nato nel 2014 con oltre 400 concerti alle spalle, un'esperienza maturata in molteplici contesti ma anche suonando in pianta stabile in alcuni dei migliori locali di musica live della toscana. Propongono un viaggio intenso con un repertorio di 100 brani che stilisticamente attraversa la pop music, blues e soul, rock'n'roll e country, latin e bossanova, cantautorato e musica tradizionale. Il tutto è condito da arrangiamenti personali e medley in costante evoluzione di artisti come Jamiroquai, Chuck Berry, Adele, Stevie Ray Vaughan, Edoardo Bennato, The Rolling Stones, Bo Diddley, Stevie Wonder, Foo Fighters, Ed Sheeran, Antonio Carlos Jobim, Rag'n'Bone Man, Dire Straits, Pino Daniele, Jimi Hendrix, Johnny Cash, Bruno Mars, The Eagles, Vinicio Capossela, B.B.King, Frank Sinatra, Lady Gaga, Brunori sas, Simon & Garfunkel, Eric Clapton, Fabrizio De André, Depeche Mode, Bob Marley, Neil Young, Otis Redding, John Legend, Paolo Conte, John Denver, Lucio Battisti, Prince, Lynyrd Skynyrd, Van Morrison, David Bowie, Dean Martin, Celentano, Bruce Springsteen, Doobie Brothers, The Police, Coldplay, Elvis, Jason Mraz, Sergio Mendes, Marvin Gaye, Bob Dylan, Alex Britti, Fats Domino, John Mayer, Renato Carosone, The Temptations, Robert Johnson, Francesco De Gregori, Pharrell Williams, Ray Charles, Creedence, Lucio Dalla, Toto, Bon Jovi, Sean Kingston, Queen, Oasis, Bruno Martino, The Beatles, e tanti altri!